It couldn’t have come as a bigger surprise: just weeks after filing a lawsuit against the Constitutional Court in September 2012, lobbying for graphic novels to be covered by the Colombian Book Law, a group of Colombian illustrators received the news that the Court had agreed to amend the law, thus freeing graphic novels from high taxes — 16% vs. 0% for books, magazines and serialized publications — which had stymied the industry for so long. Between 2008 and 2010, only 8 comic books titles were registered at the Colombian ISBN Agency. It was a horrendous situation, compared with that of, say Spain, which despite a massive economic downturn, still registered 1,766 comic books in 2011 and printed some 15 million copies. Among the claimants were John Naranjo, Colombian graphic designer, who along with his his wife, the film maker and photographer Carolina Rey, are publishers of Rey+Naranjo Editores. “In the end we all got what we were looking for: the legal acknowledgement of comic books and graphic literature as legitimate cultural products,” says Naranjo. Naranjo’s advocacy for graphic literature, though, was motivated by an ace up his sleeve. Long before setting up his publishing house, Naranjo worked as an advisor for the book publishing branch of Colombian newspaper El Tiempo which had wanted to publish illustrated biographies of key Colombian cultural and historical figures. When he was back in Colombia, Naranjo phoned Pantoja, and they resumed work on the manuscript. They enlisted illustrator Miguel Bustos to give visual life to the script. Bustos was overwhelmed by the project´s magnitude, so in order to have the comic book ready for a launch at Cartagena Hay Festival in January this year, Naranjo hired three additional illustrators (Tatiana Córdoba, Felipe Camargo and Julián Naranjo) to collaborate on the project. 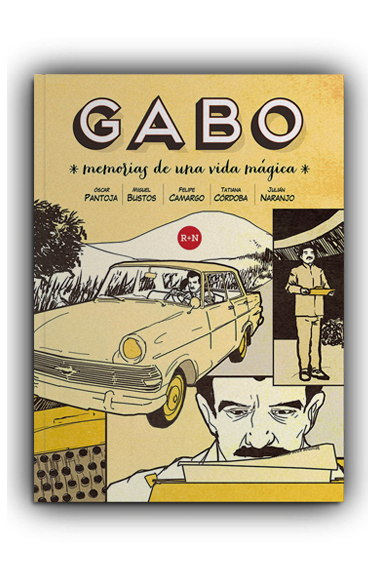 The resulting work, entitled Gabo: Memorias de una vida mágica, was an immediate success at the Hay Festival and garnered positive reviews in national and international media. Rey+Naranjo´s interest is not limited to graphic literature: the company also publishes literary journalism under its Latitud imprint, (the inaugural title Balas por encargo, chronicles the sicarios community in Cali, written by Colombian journalist Juan Miguel Álvarez), as well as literature, under the Letras Mil imprint (with titles from Colombian writers Andrés Burgos and Virginia Mayer). 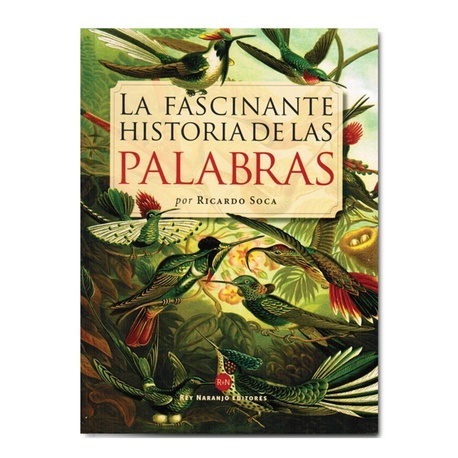 A more creative, hard-to-categorize project, Diccionarios raros y curiosos, is written by Uruguayan linguist Ricardo Soca and offers reference books that unravel and celebrate the wonders of carefully selected Spanish words. Rey+Naranjo has also expanded into distribution, handing books for Spain’s Sins Sentido (from which they also acquired the rights to publish the Eisner Award-nominated graphic novel Chico y Rita by Javier Mariscal and Fernando Trueba) and Mexico’s Elephas. An interest in LGBT issues lead them to contact American cartoonist Alison Bechdel, who authorized Rey+Naranjo to distribute her graphic novel Fun Home: A Family Tragicomic in Colombia. Although the situation started to improve during the ’80s and ’90s with the development of specialized magazines, newspaper supplements and more visibility at local book fairs, graphic literature was still viewed as an underground activity. Alas, in this way, Colombia is not so different from other countries: it took award-winning books, such as Art Spiegelman´s Maus (1991) and Alan Moore and Dave Gibbon´s Watchmen (1987), to raise the sector’s profile in the English language market, for example. (See Becky Barnicoat’s essay in The Guardian for further reference). As attitudes have changed, comics and graphic novels are now seen as an important gateway for young readers, particularly those still in school. Psychologist David Rapp, writing on Reading with Pictures, believes that “comics literacy” (understanding panels, thought bubbles and the graphic passage of time) helps readers develop a key form of critical thinking. Though optimistic about the current wave of independent publishers sprouting up in the country, Naranjo notes that there are still gaps in how the publishers access and set to work. “There is a lack of local education resources in publishing. Independent publishers are still very short on selling rights, contracts and distribution issues.” However, the recent launch of a Diploma in Publishing Studies by the Instituto Caro y Cuervo, a government research body on literature, history and linguistics, may pave the way for bridging the gap. As for future projects, Rey+Naranjo is very keen to keep working on illustrated biographies, following the success of Gabo. “We are working on the biography of another great Latin American writer, it will be a complete hit and we believe it will outsell the Gabo biography. We hope to have it for Frankfurt or at least for Guadalajara,” says Naranjo. They are also working on two comic books featuring subjects Colombian history. 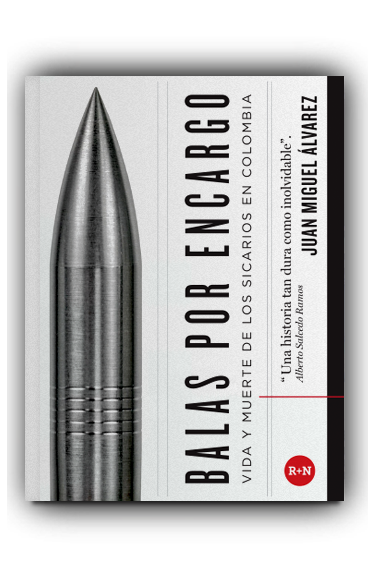 Andrés Delgado Darnalt is a Colombian journalist who has worked with the Colombian Book Chamber, the Iberoamerican Publishers Association, the Museum of Fine Arts — Houston and the Fundación Gilberto Alzate Avendaño. He lives in Bogota. You can follow him on Twitter at @andeldar.